The Tannery is a function venue unlike any other in the city – versatile enough to be informal and casual in the long bar of Blue Smoke, intimate dining in AGA kitchen or opulent and grand for corporate dinners in the Victorian era Atrium. Blue Smoke is ideally suited for any reception or cocktail-style event you may be planning, whether it is a family party, a wedding or a more laid-back corporate celebration. With its William Morris wallpaper and oak panelling, it’s a charming and charismatic space made even more inviting with its large deck and outdoor fireplace, as well as its stage for your choice of band. 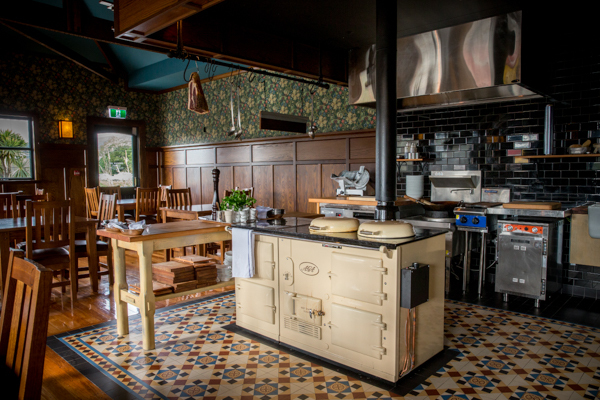 If you have a more intimate dining experience in mind, the AGA kitchen private dining room is the perfect setting for you. Couple the ‘old-world’ inspired atmosphere of this space with fine food and your guests will truly have a time to remember. 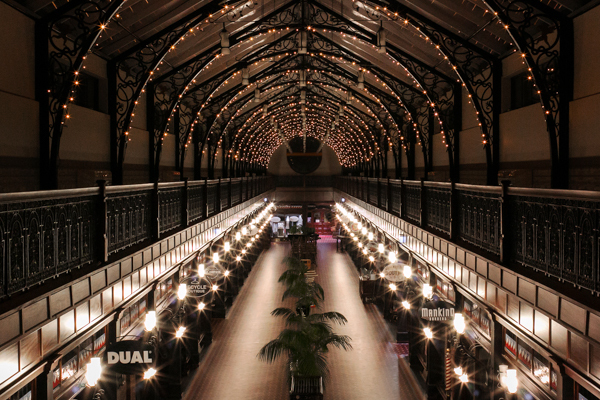 Nothing compares though with the grandeur of a corporate dinner, cocktail party or a wedding in the Victorian era Atrium under the fairy lights. With its iconic French tiled floors, stained glass, translucent roof and iron arches, the atrium is a simply stunning place to hold any event. It’s available for groups from 30 up to 600 and ideal for whimsical winter weddings. To discuss your next function or, if you haven’t booked your end of the year celebration yet, contact the events team at The Tannery – 0800-4-TANNERY.